Nissan is preparing plans to begin the assembly of vehicles in Myanmar. It's been a politically troubled place with a small car market and plenty of used vehicles. However, recent political progress has ignited automotive market interest. Nissan CEO Carlos Ghosn believes it has good growth potential and could grow to 300,000 new cars a year. Tell us about Nissan’s plans for Myanmar. We are starting a facility in Myanmar. We are going to be building a relatively small plant, compared to what we do usually in the world, 10,000 units a year in the city of Bago, about 80 kilometres from the shore. This means it’s easy to serve. We are going to be building the Nissan Sunny, as an SKD (semi-knocked-down) then CKD (complete knock-down) operation but with the perspective of localising. That means we are going to be bringing, little by little the suppliers, in order to have a network of suppliers allowing us to go further. Obviously, this is the first step, it’s a very important one. As you know, today the market in Myanmar is evaluated at 120,000 cars a year, practically all of them being used cars, 95 percent are used cars and the rest of it are imported CBU (Completely Built Up), there is absolutely no local make. I’m very proud to say Nissan is the first car manufacturer to have the agreement from the Myanmar government to build this facility in partnership with Tan Chong Motors, which is Nissan’s distributor in Malaysia. The first car should be rolling off the production line in 2015. 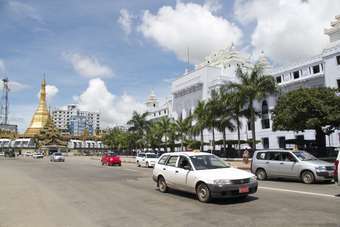 What are the prospects for the auto market in Myanmar? I think this is one of the most promising in the southeast of Asia and certainly one of the most promising markets in the world. It has been on an economic growth level of about seven percent for the last years. Our forecast and the forecasts of many analysts is, it’s going to continue for at least, at seven percent. The government is supporting growth and is doing everything that is necessary in order for investments to be in the country. I’m seeing a potential for the emergence on the mid-term of the 300,000 cars a year market, most of them being new cars, particularly assembled and produced locally. I expect to have a boom of investments in the area of the automotive industry and we are giving ourselves as an objective, at least in terms of the alliance, to have 30 percent of market share in Myanmar. What kind of models will Nissan bring? Well, we analysed the market, which is obviously made up of used cars. But one-third of the market is for B-sedans, you have one-quarter of the market for SUVs, we have about one-tenth of the market for minivans. 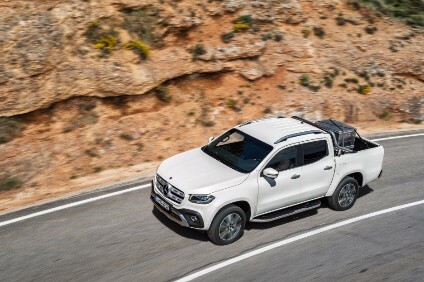 You have a small five percent of the market for pickup trucks. So we have a good understanding of what people are asking for. And we have all these products. We have sedans, we have SUVs and minivans. We have pickup trucks and we have small buses for transportation like the Caravan. We have everything. The question is, we have to go step by step, with a priority. So we are putting the priority with the Nissan Sunny, then we are studying a minivan, a three-year old minivan because it’s being used. But then you also have the pickup truck and the SUVs. It’s just the starting point, we are here for a long-term strategy, which obviously is going to be much more investment from Nissan and from the Alliance in this market.